This newspaper coloring contest appeared in a newspaper on February 06, 1957. Winners of the contest received tickets to see the movie "Wings of Eagles" starring John Wayne, Dan Dailey and the lovely Maureen O'Hara. Hollywood could use a few good men like John Wayne instead of the little weasels that seem to inhabit the movie and television industry today. 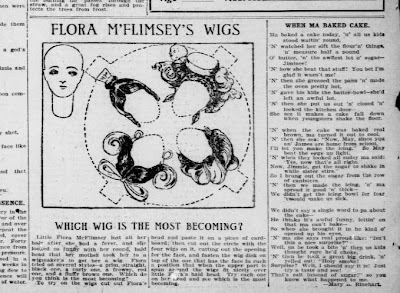 FLAPPER FANNY'S FALL WARDROBE appeared in newspapers on September 22, 1935. WHICH MAKES THE BEST SANTA CLAUS? WHICH MAKES THE BEST SANTA CLAUS? appeared in newspapers on December 09, 1911. 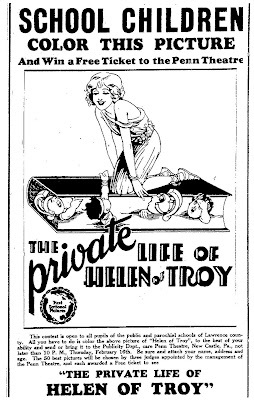 The faces are from the comic strip characters that appeared in the paper at that time. This newspaper coloring contest appeared in papers in March of 1954. Kids had an opportunity to win a Schwinn Bicycle by coloring Mr. Zesta. 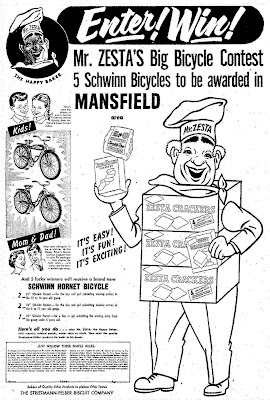 The sponsor, of course, was Zesta Crackers. I had a great Schwinn 10-speed in the mid-1970's until Bobby borrowed it and then left it in the front yard - and that was the last I saw of my Schwinn. 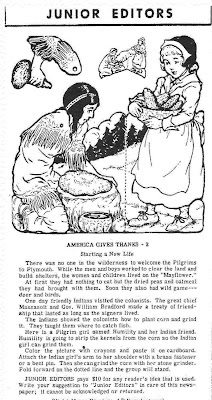 This ad for SOVEREIGN Cigarettes appeared in newspapers in November of 1913. I thought the image was rather strange. 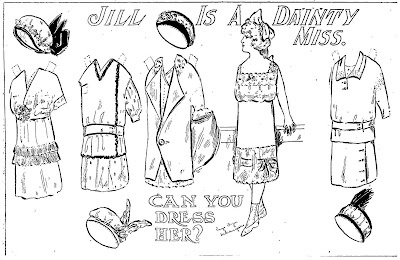 These paper dolls of Jill, twin sister to Jack, appeared in an Indianapolis newspaper in January of 1914. 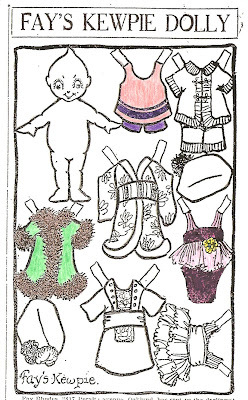 The paper doll series by Raye Dryer continues with Jack and Jill traveling throughout Europe. 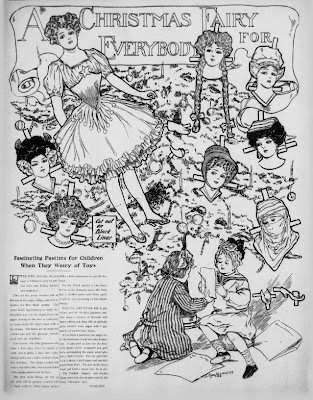 "A Christmas Fairy For Everybody" paper doll is from the Los Angeles Herald newspaper dated December 17, 1905. 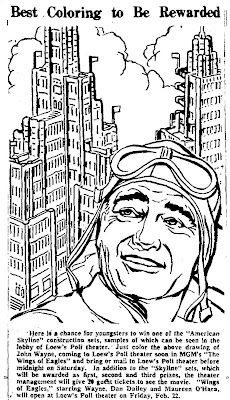 The Professor with his packages appeared in the Sunday comics on December 17, 1939. 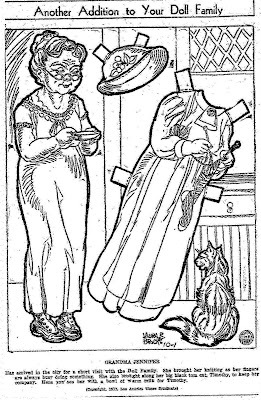 Boots and her winter wardrobe appeared in the Sunday comics on December 18, 1938. 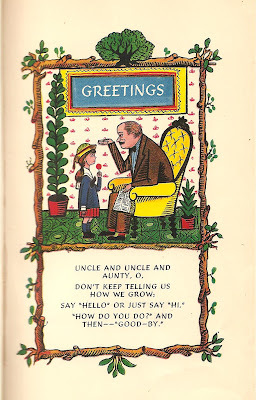 My thanks to Edgar Martin. This newspaper cut-out is from May 27, 1911. Help Mrs. Spanker give Levi the tanning he deserves. 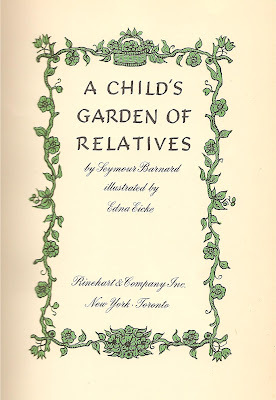 "A Child's Garden of Relatives" by Seymour Barnard and illustrated by Edna Eicke. 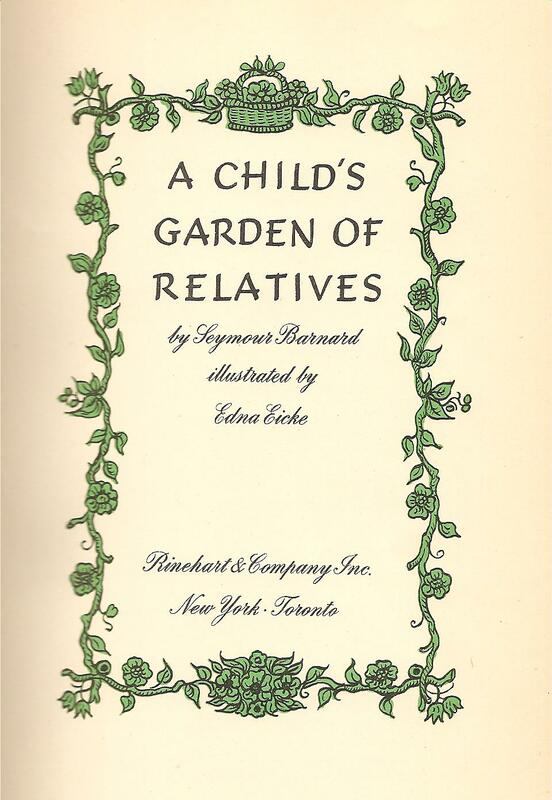 I bought this little book at a library book sale a couple of years ago. 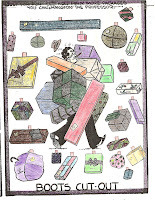 The book has 34 brightly colored illustrations. 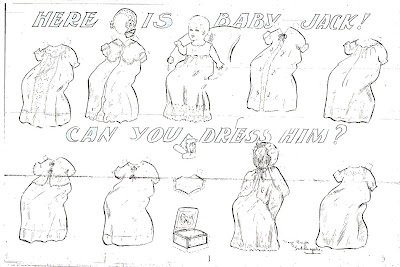 Here is the baby Jack paper doll from the "Jack and Jill" newspaper paper doll series by Raye Dryer. 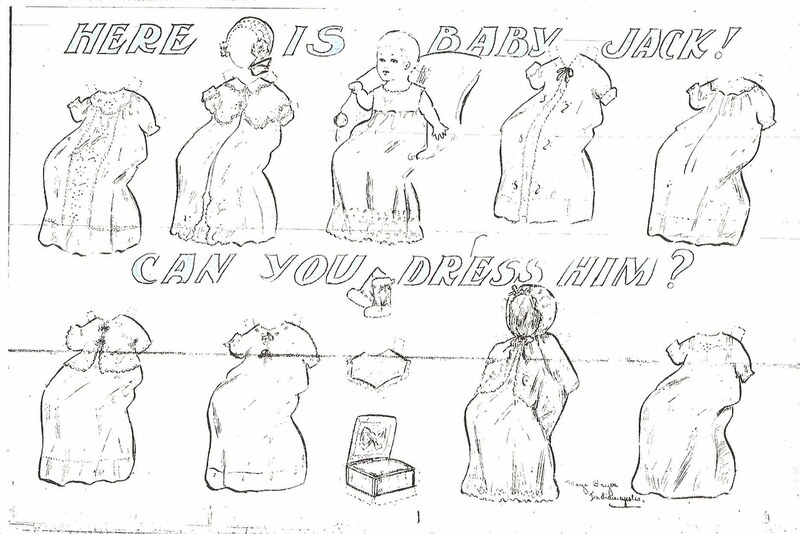 Baby Jack appeared in an Indianapolis paper on November 16, 1913. 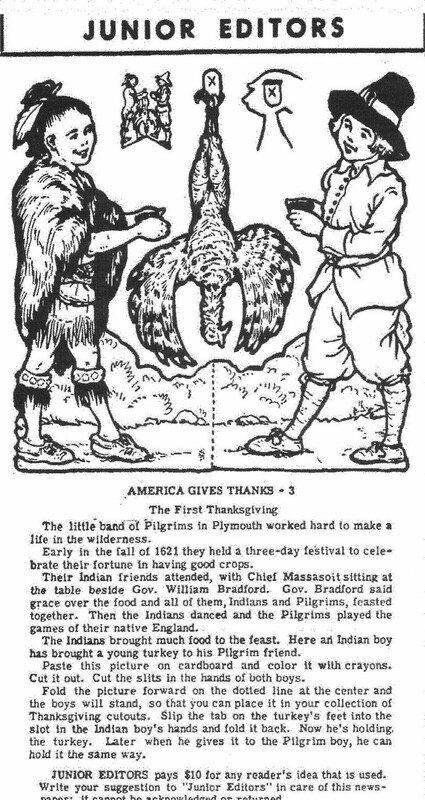 I found this cut-out in two different newspapers from 1903. 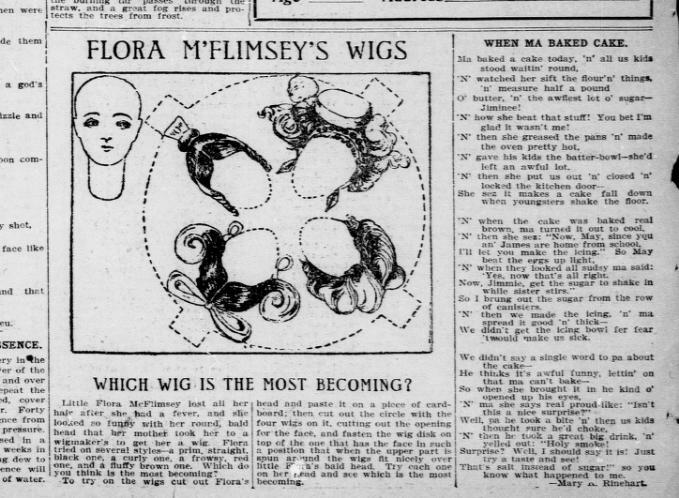 Flora McFlimsey lost her hair from a fever and now she must choose a wig. 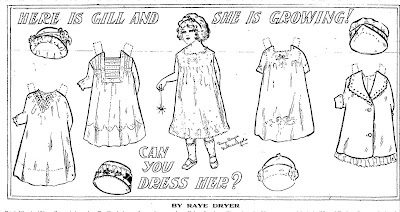 Fay's Kewpie Dolly paper doll appeared in the Aunt Elsie section of the Oakland Tribune on October 11, 1919. 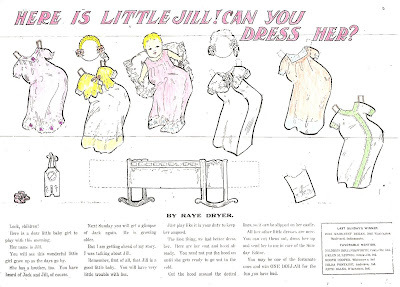 Raye Dryer created a newspaper paper doll series about twins, Jack and Jill. 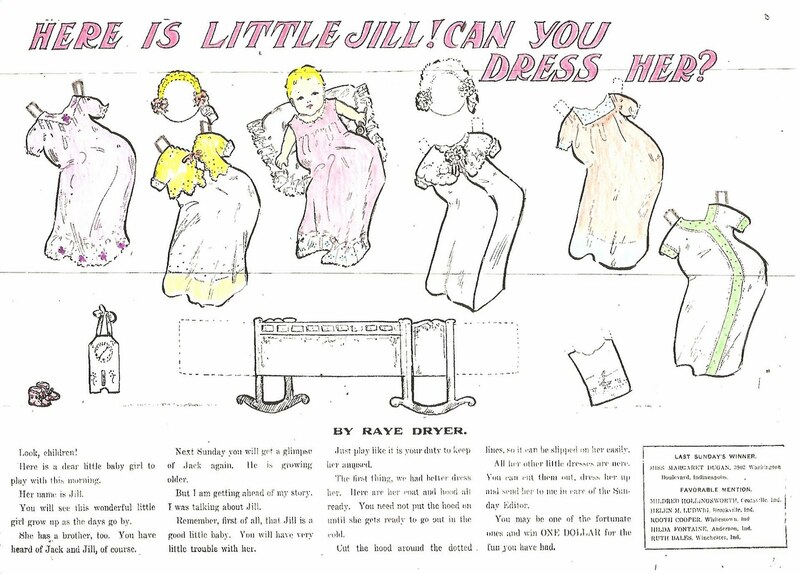 This paper doll of baby Jill appeared in an Indianapolis newspaper on November 23, 1913. 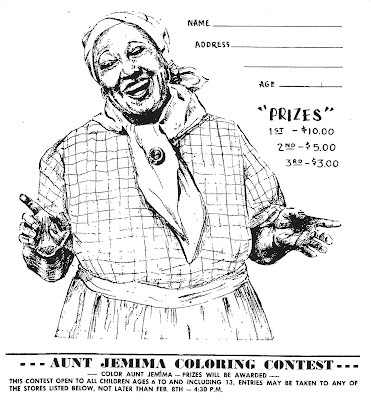 This newspaper coloring contest appeared in newspapers on February 05, 1958. Children ages 6 to 13 were to color Aunt Jemima to win prizes. 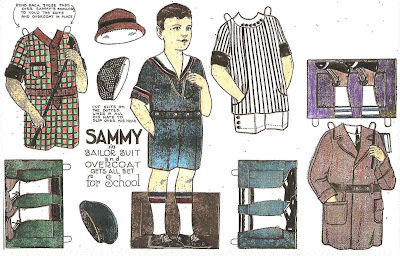 SAMMY in Sailor Suit and Overcoat gets all set for school. This newspaper paper doll is from November 16, 1924. 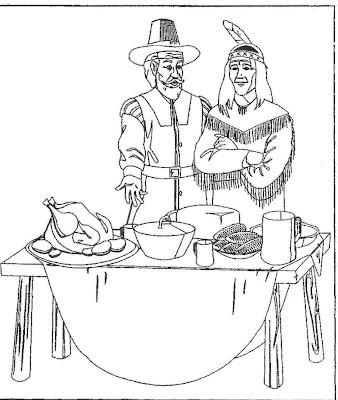 I hope they did not serve green-bean casserole. Boots celebrates Thanksgiving, from November 18, 1951. 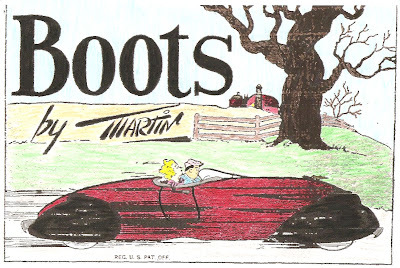 My thanks to Edgar Martin. 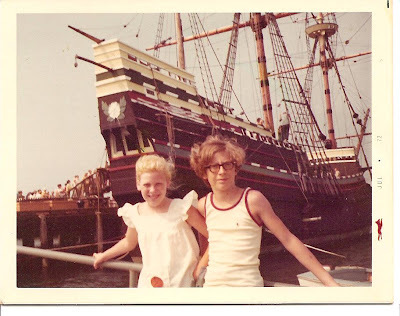 Bobby and I at the Mayflower replica the summer of 1972. I loved visiting New England when I was a kid. The Junior Editor was a newspaper cut-out series for children and was very educational. 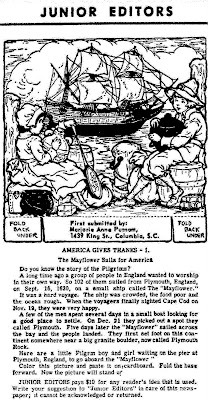 This Mayflower Junior Editor cut-out ran in newspaper in the early or mid-1950's (I forgot to write the date on the page). 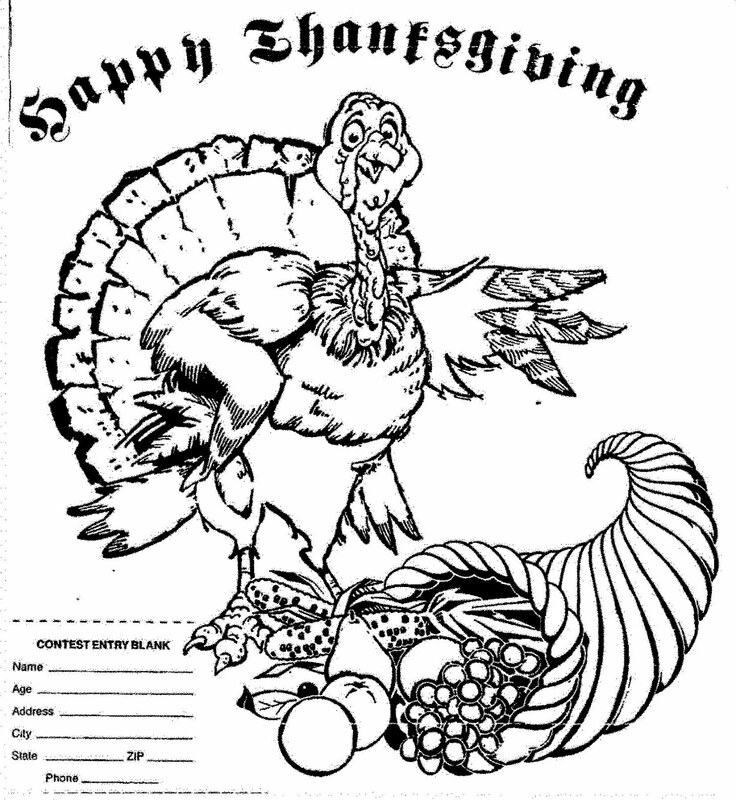 A Happy Thanksgiving coloring contest that ran in various newspapers in November of 1989. 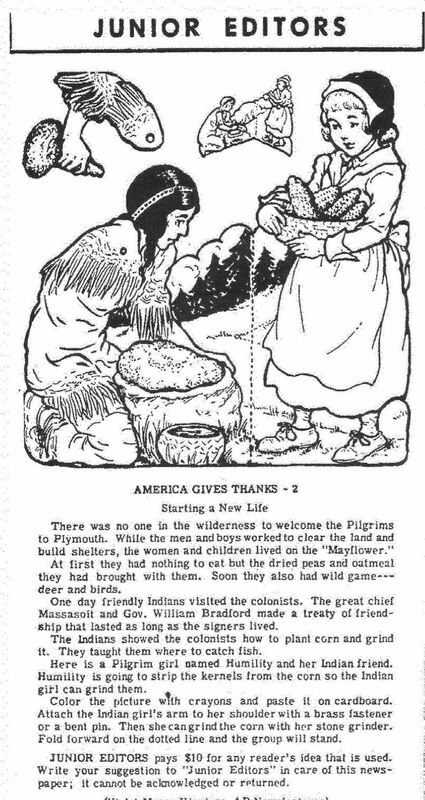 Anna Belle and her friend Marjorie doing their good deed for Thanksgiving. 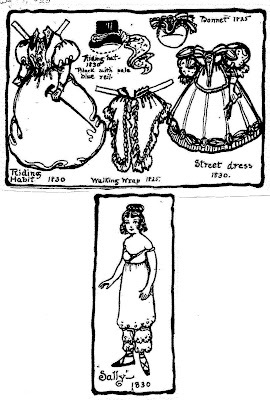 The Anna Belle paper doll series ran in newspaper from as early as 1909 and as late as 1927. 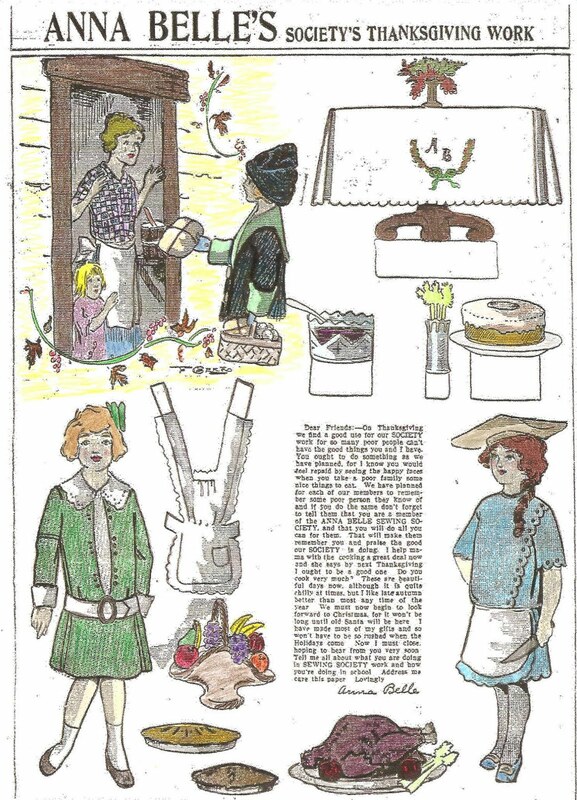 This Anna Belle paper doll ran in newspapers in November of 1912. 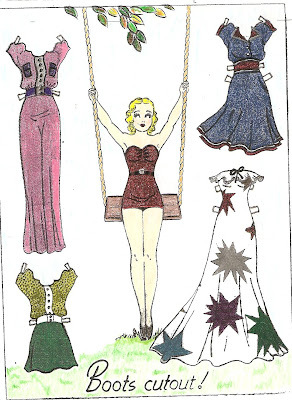 Lucille is a newspaper paper doll from "The Twinkle Tots From Cutout Town" paper doll series. 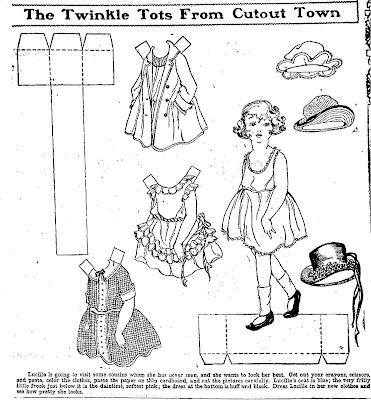 The earliest Twinkle Tot that I have is from 1923 and Lucille is from 1929. 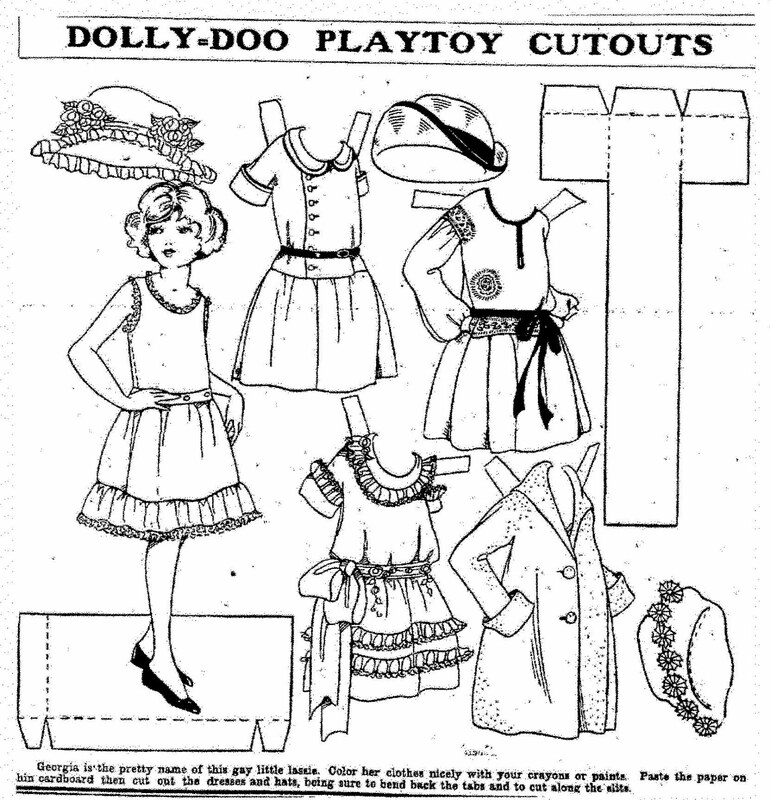 Dolly-Doo Playtoy Cutouts appear to be another version of "The Twinkle-Tots from Cutout Town" newspaper paper doll series. 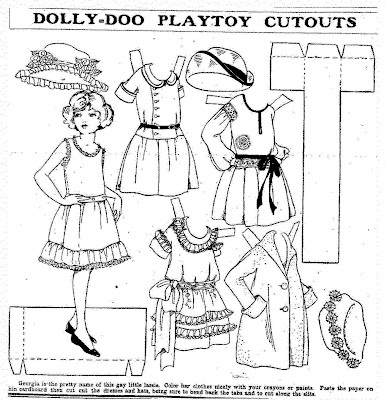 Georgia is a Dolly-Doo paper doll that appeared in newspapers in 1926. 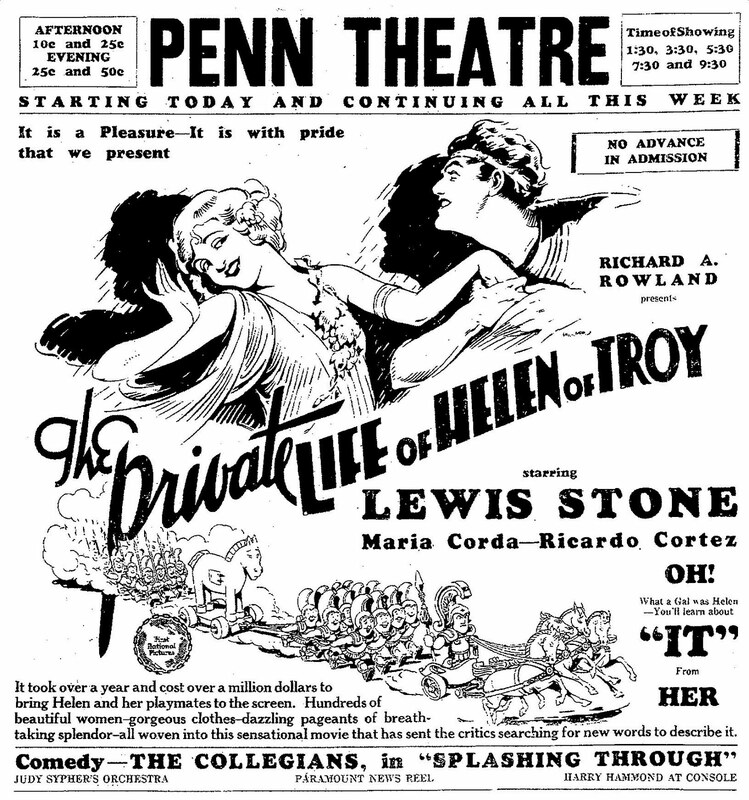 Kids could win tickets to see the movie "The Private Life of Helen of Troy" starring Lewis Stone and Maria Corda by entering the newspaper coloring contest. 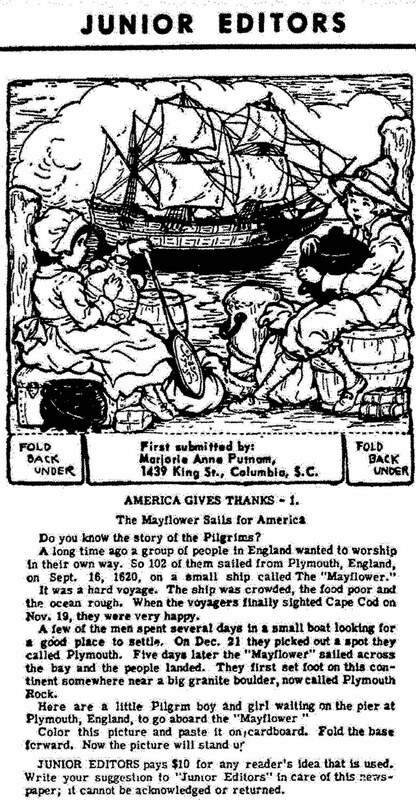 This contest appeared in a Pennsylvania newspaper on February 08, 1928. 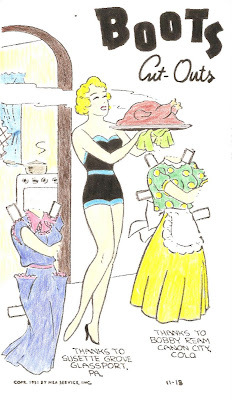 A Thanksgiving paper doll from the Aunt Elsie section of the Oakland Tribune. 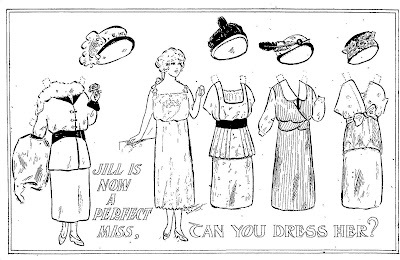 Priscilla paper doll was published in November of 1920. 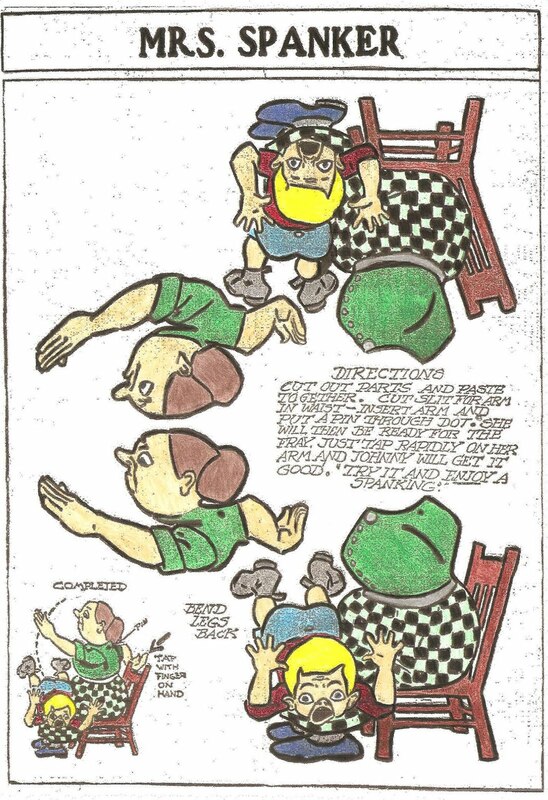 Tess and Ted, the Toyland Twins, had a weekly coloring page in newspapers from 1927. 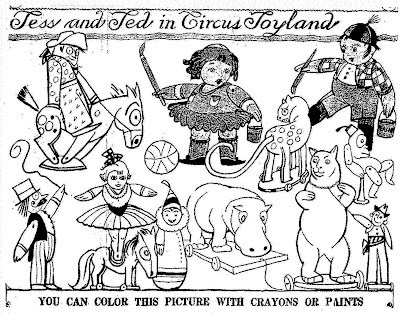 In this coloring page, Tess and Ted are in Circus Toyland. 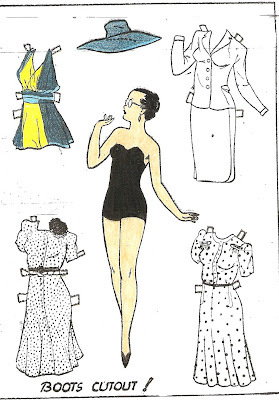 This paper doll looks very sassy. Hands on hip and a look that says "You can't tell me what to do." - not my favorite look, I have seen it too often. 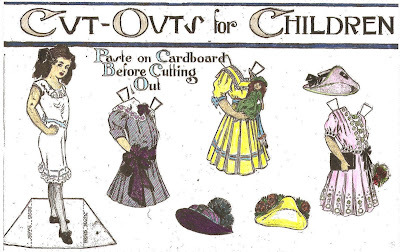 This paper doll is from the Cut-Outs For Children series that appeared in newspapers in 1909 and 1910. 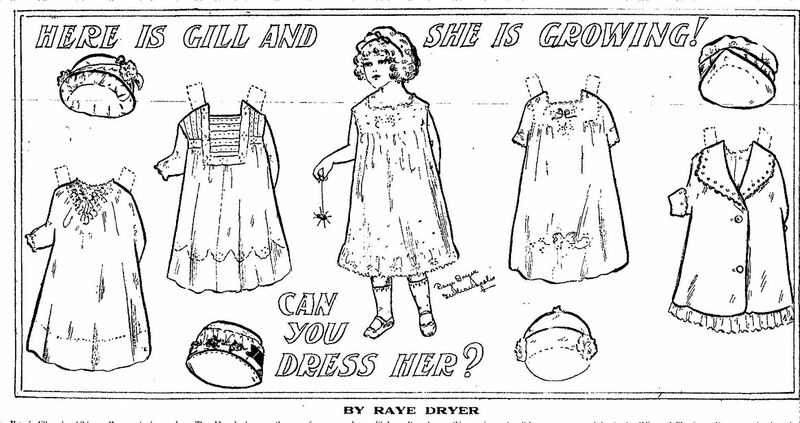 Sassy girl is from November of 1909. 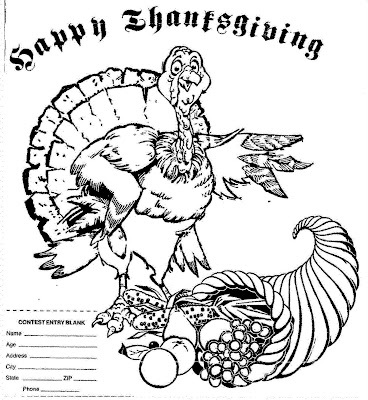 This Thanksgiving coloring contest appeared in some newspapers in 1997. 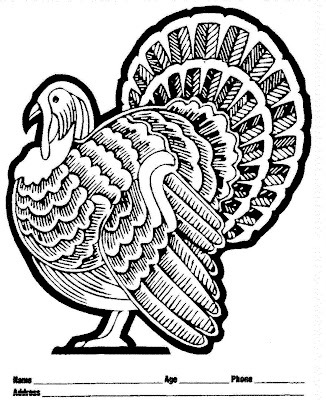 I think it is a very attractive turkey. 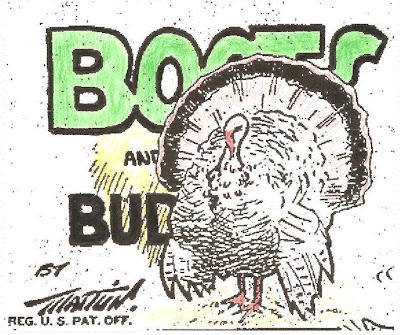 Happy BOOTSDAY! Many thanks to Edgar Martin. 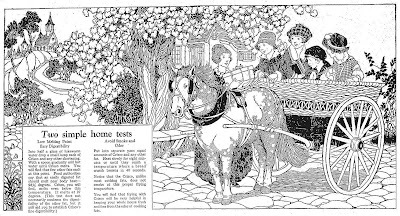 A pretty coloring contest that appeared in newspapers in January of 1923. 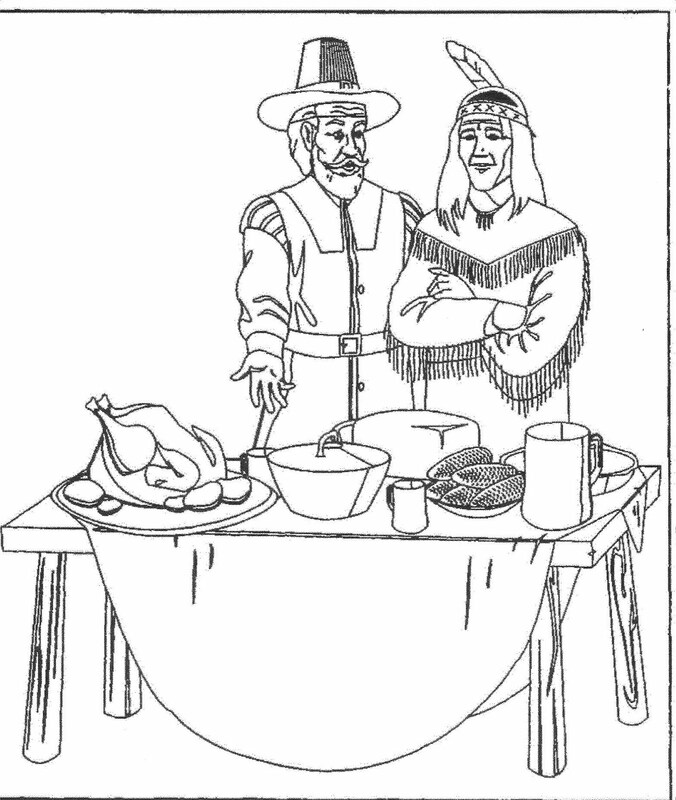 The coloring contest was held by "Crisco" and consisted of several scenes like the one above. Grandma Jennifer, another member of the paper doll family by Laura R. Brock. 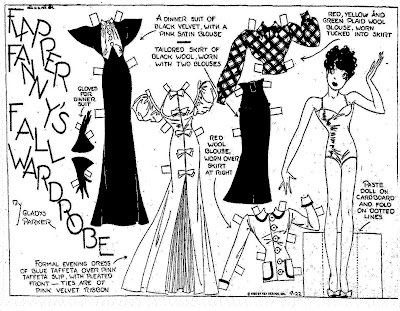 This paper doll appeared in newspapers in 1933. 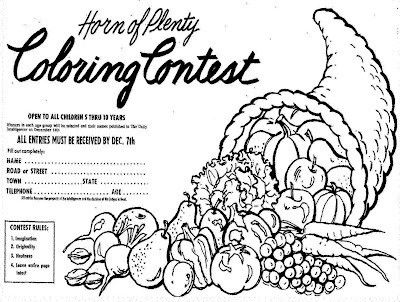 A nice "Horn of Plenty" newspaper coloring contest from 1977. 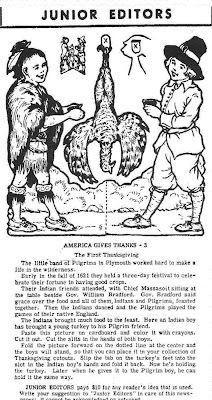 We are so blessed with the abundance of food that we have in the U.S.A. and we should remember to give thanks for this blessing. 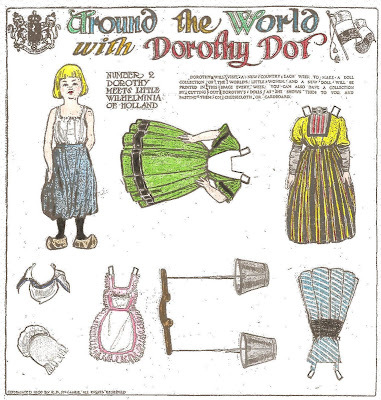 Another paper doll from the newspaper paper doll series "Around The World With Dorothy Dot". 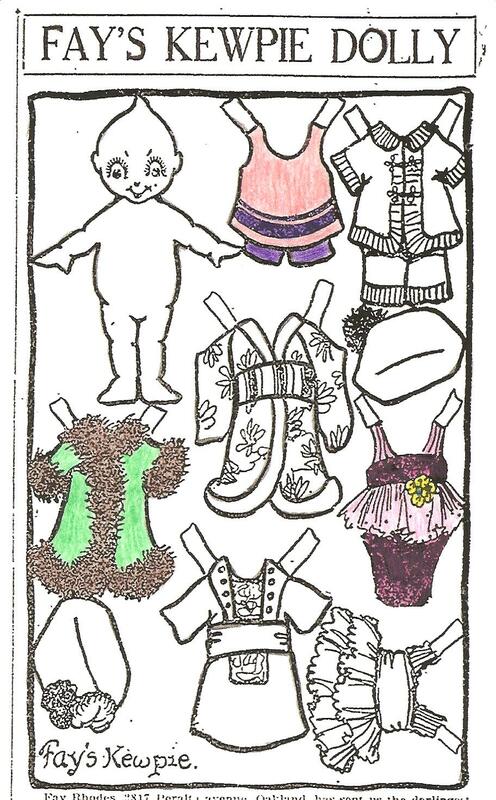 This is the second paper doll in the series - Little Wilhelminia of Holland. 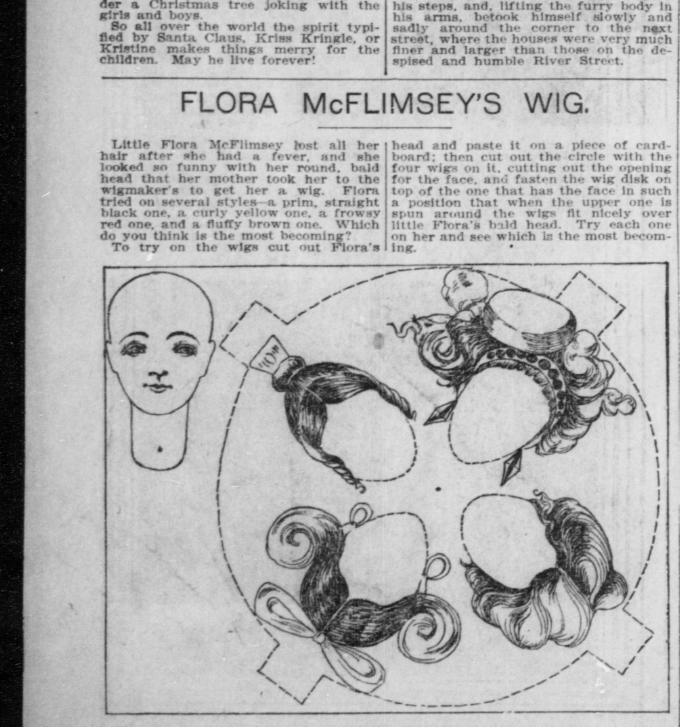 Wilhelminia appeared in newspapers on April 11, 1909. 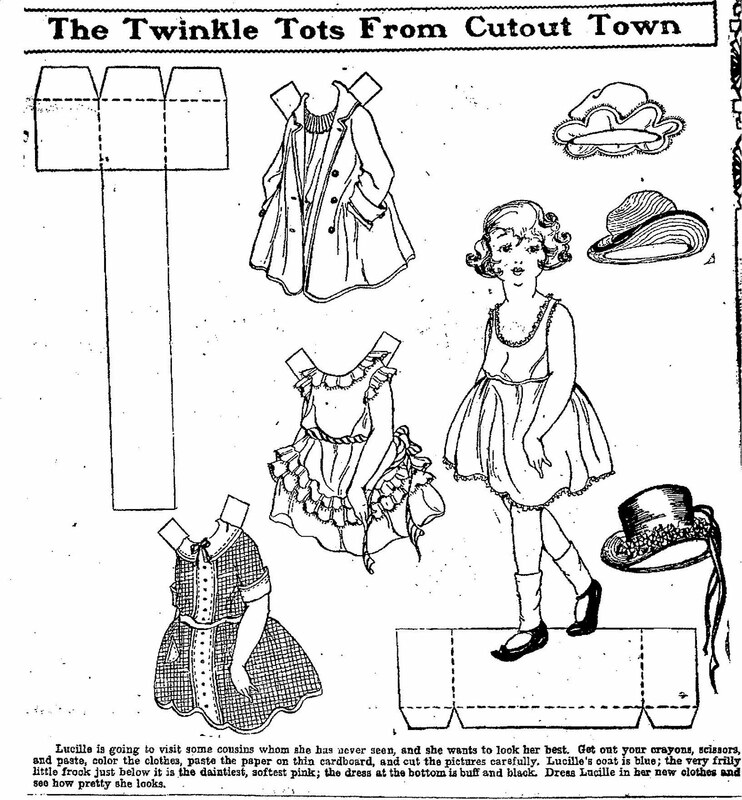 This newspaper paper doll appeared in the Oakland Tribune in October 1920. 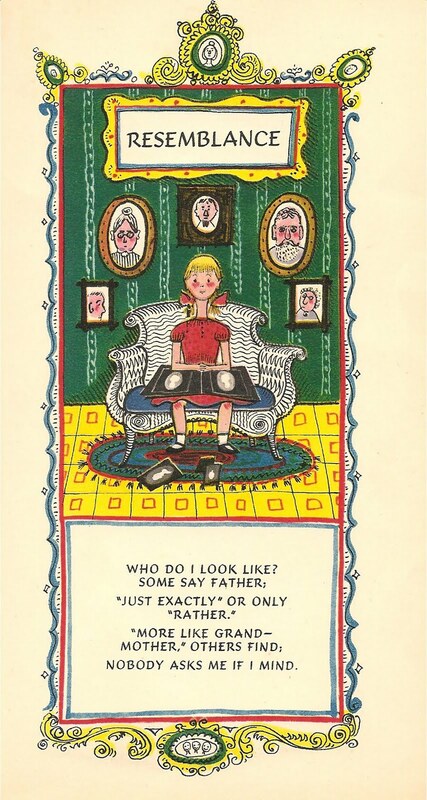 "Sally" is from the Aunt Elsie page for children.